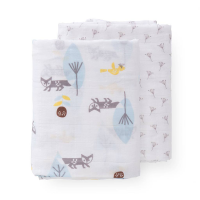 Oh so soft, these breathable and versatile organic cotton muslins are gentle on your little one's delicate skin. 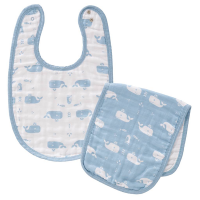 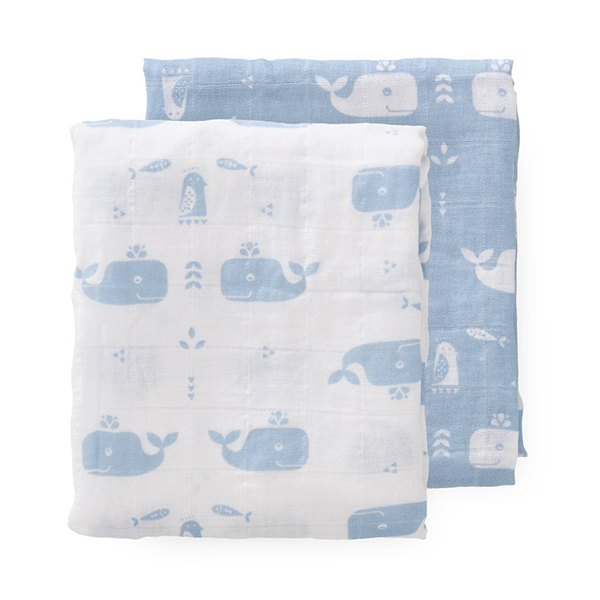 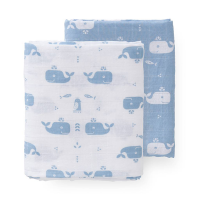 The perfect size for your nappy bag, they make wonderful burp cloths, snuggle blankets, sun shades, bandana bibs, to name just a few uses and come in a cute design featuring a happy whale swimming with his friends in the sea in a soft blue colourway. 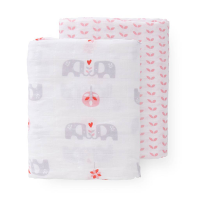 Presented in an attractive gift box these indispensable muslins make a perfect gift for your friends and family and yourself!